Prague, Czech Republic July 14, 2018 - Battle of Vitkove Hill in Prague. 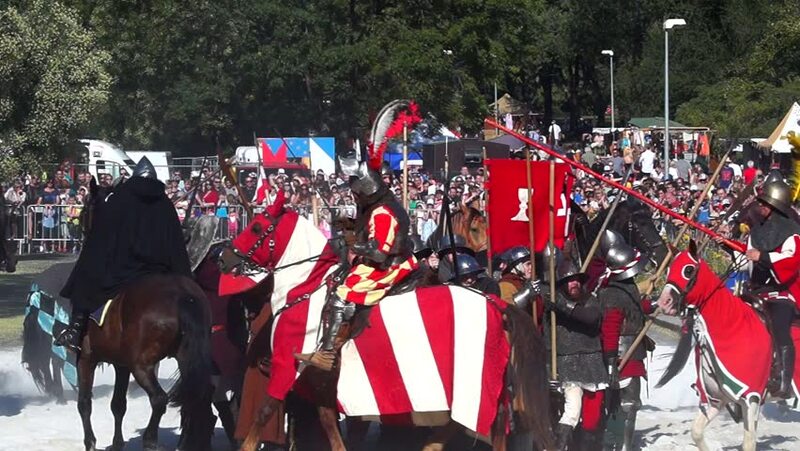 Historical reconstruction of the events of the Hussite wars in the 14th century. hd00:26VIRGINIA - OCTOBER 2016 - Reenactment, large-scale, epic American Revolutionary War anniversary recreation -- Pre-Napoleon French Army Soldiers in formation marching as on parade with Muskets, flags.